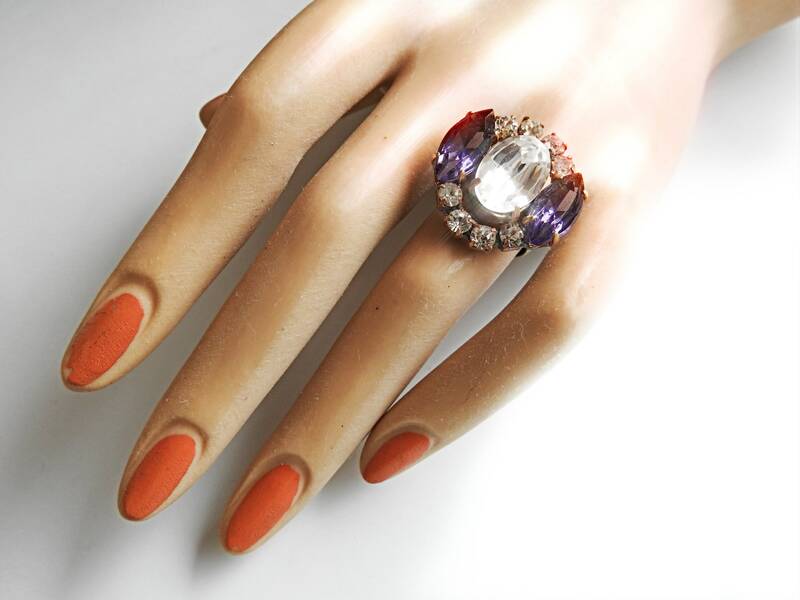 For a stylish and classic look, let yourself be seduced by Czech glass jewelry crystal ring. 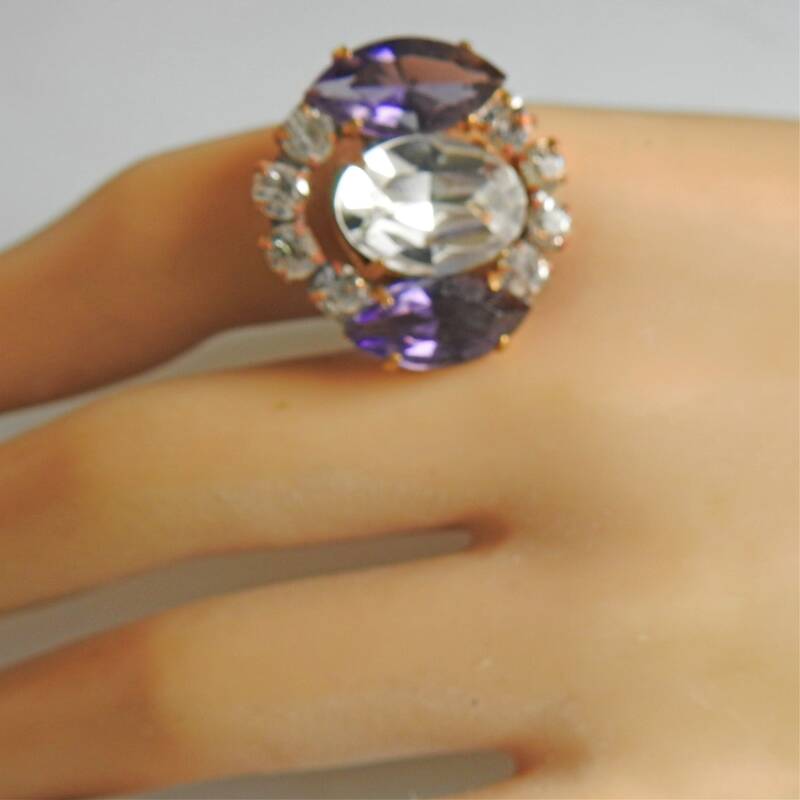 You are looking for exquisite jewelry gifts for women? 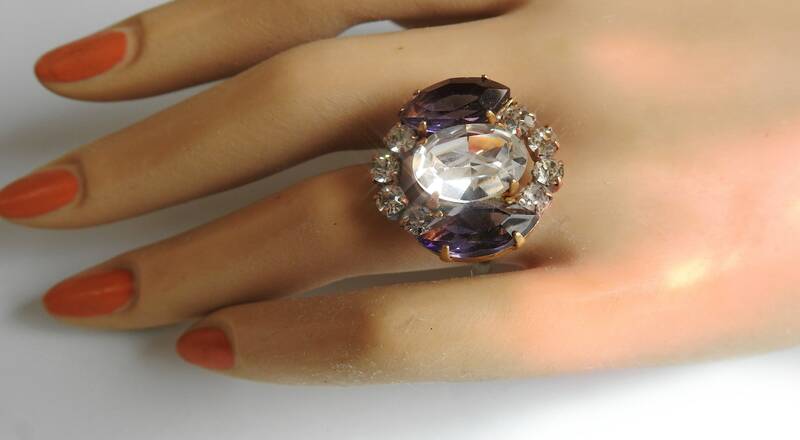 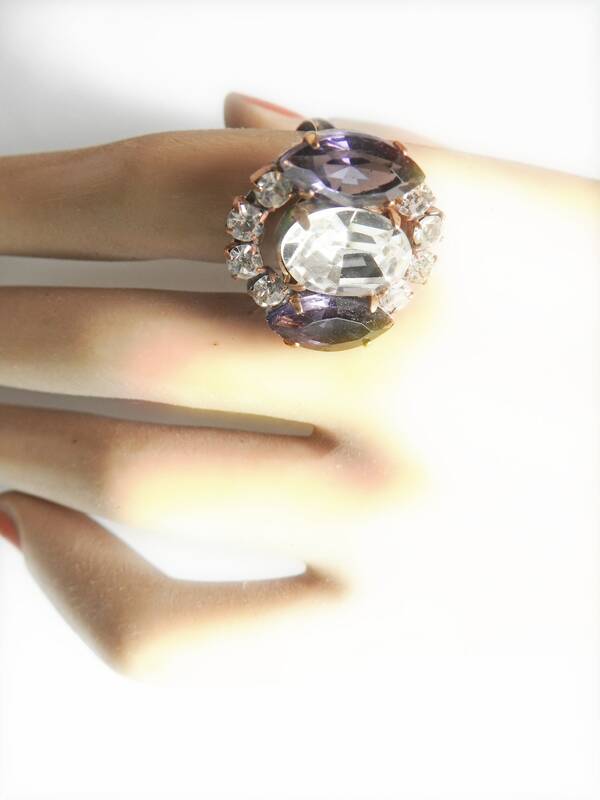 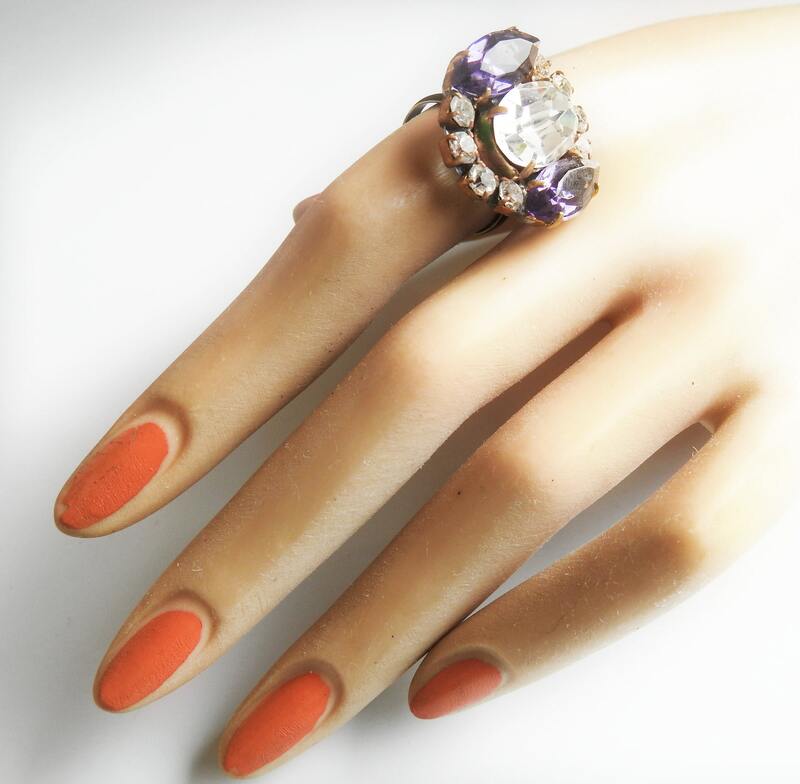 You will love this white and purple fancy ring! 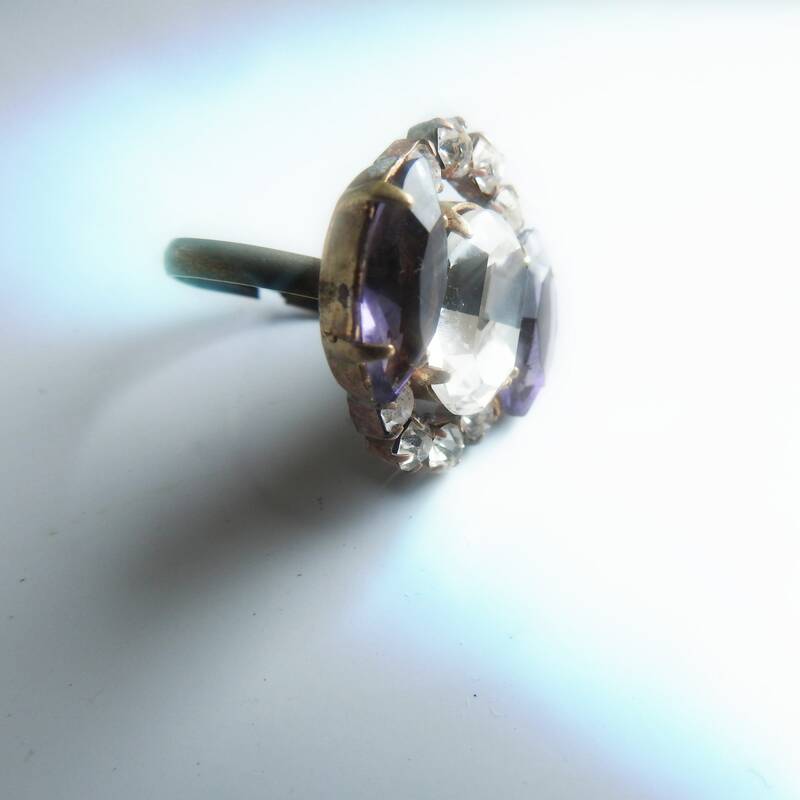 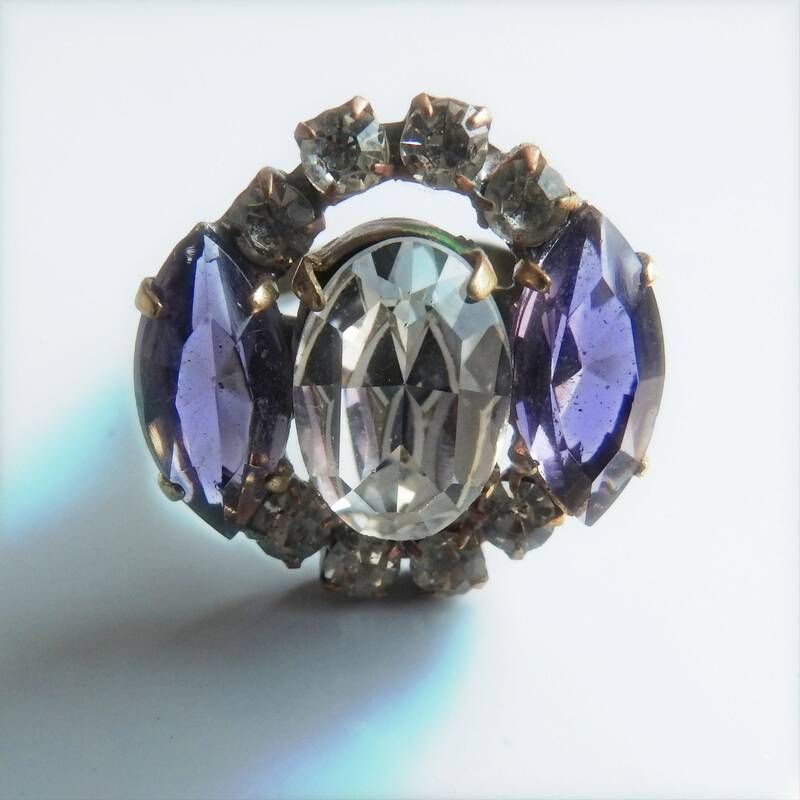 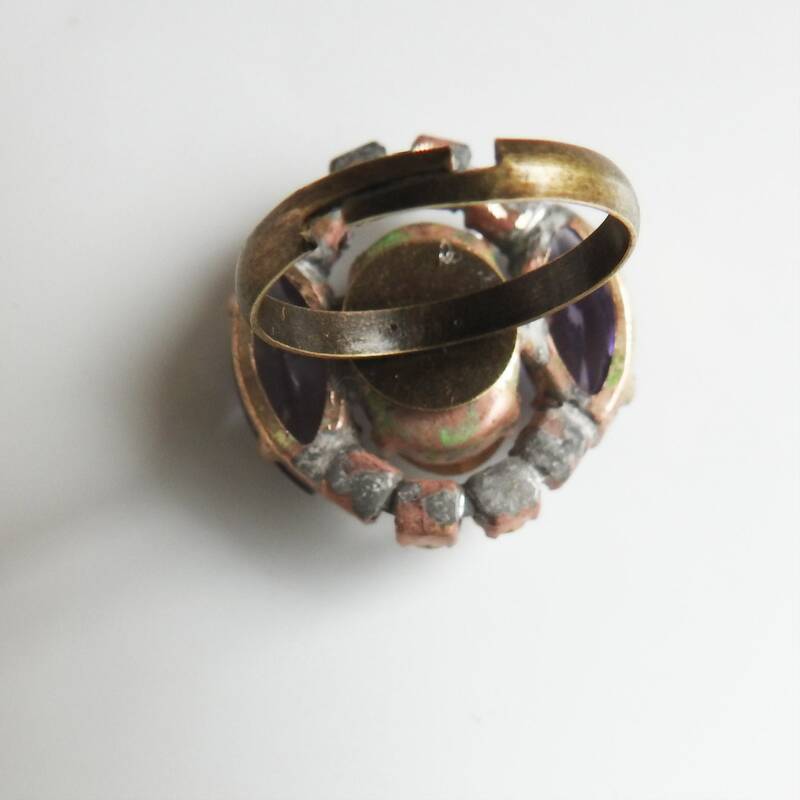 ● Handmade in Canada from a European vintage white and purple crystal button. 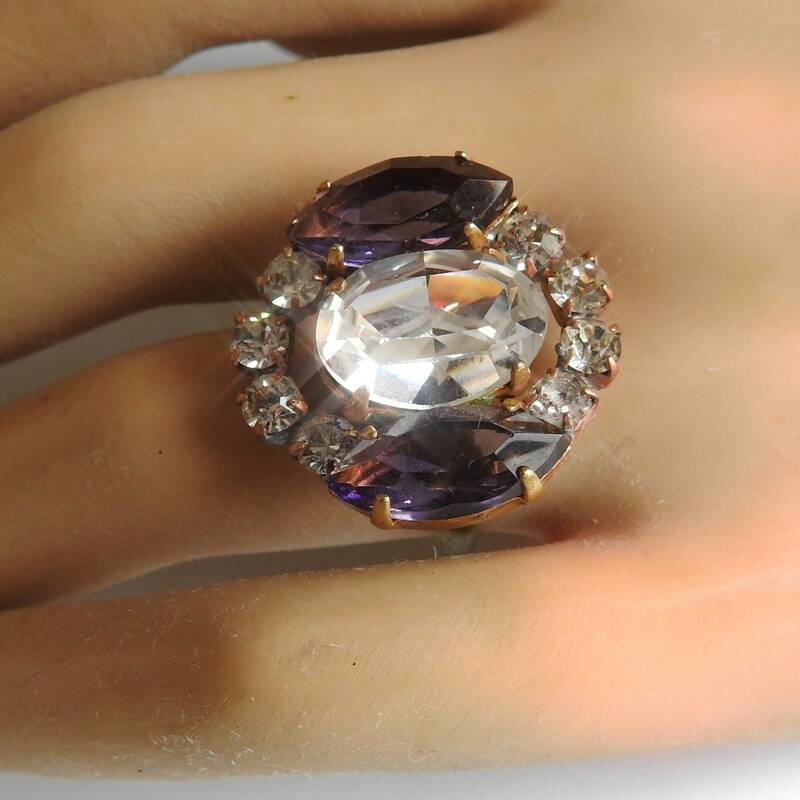 ● The main stone is diamond look-alike stone. 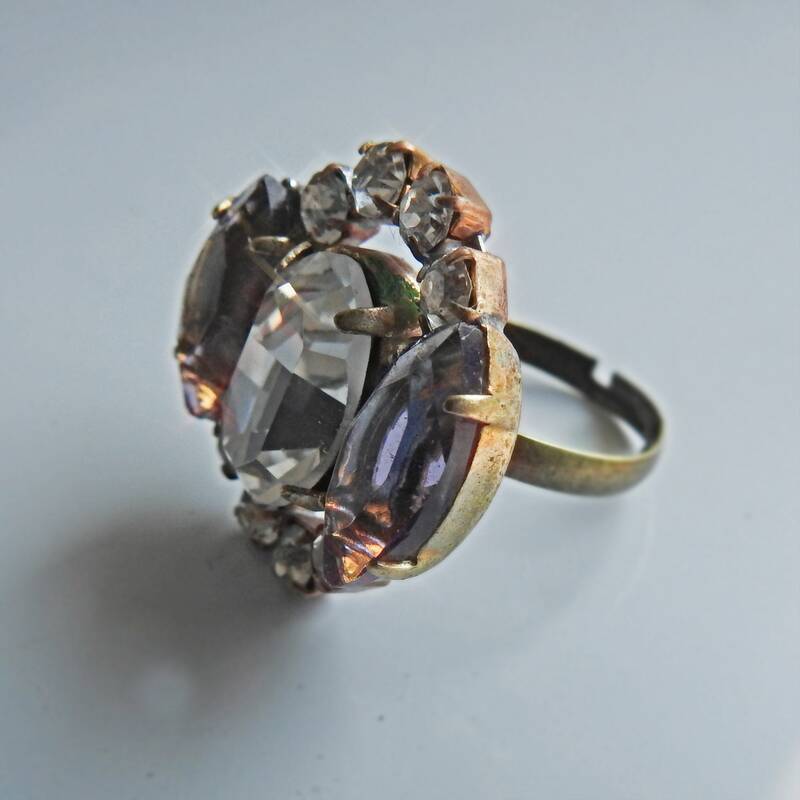 Thank you for exploring this handmade and vintage style, Czech glass jewelry crystal ring.